Synopsis: When Watson reads from the newspaper there have been two similar murders near Whitechapel in a few days, Sherlock Holmes" sharp deductive is immediately stimulated to start its merciless method of elimination after observation of every apparently meaningless detail. He guesses right the victims must be street wh**es, and doesn"t need long to work his way trough a pawn shop, an aristocratic family"s stately home, a hospital and of course the potential suspects and (even unknowing) witnesses who are the cast of the gradually unraveled story of the murderer and his motive. 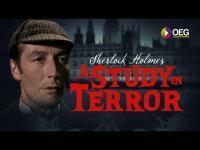 Tagline: Sherlock Holmes meets Jack the Ripper ! Here comes the original caped crusader!